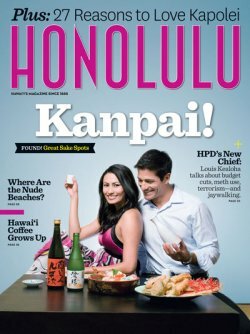 John Heckathorn of Honolulu Magazine wrote an article about the shop and a dinner we shared with him and his wife at Natsunoya’s briefly opened sushi bar. 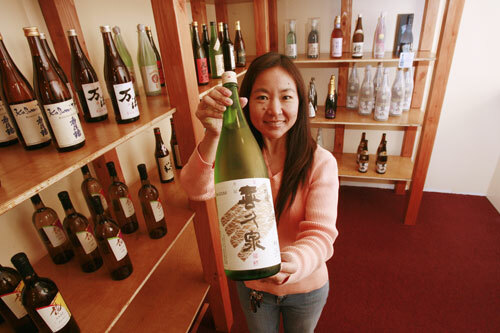 Over sushi and sashimi we sampled three different sake that we had brought that night. Click here to read the article online. 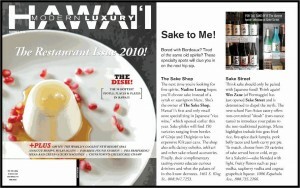 Modern Luxury Hawaii Magazine did a small article on the shop (and Sake Street Restaurant) in their Summer 2010 edition. 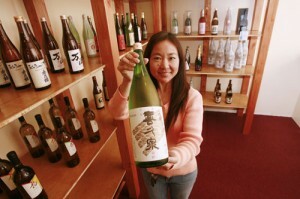 Although the caption on the picture indicates “Sake Street”, that’s actually a picture of sake at our store. Melissa Chang has been a big supporter of the shop since before we opened. I guess it doesn’t hurt that she lives so close by. 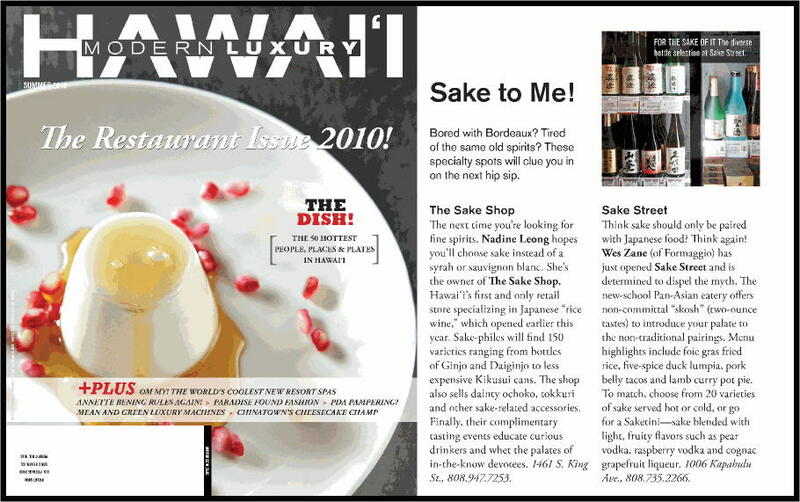 She featured us in her Honolulu Advertiser food blog, “Urban Mix Plate” soon after we opened. Click here to see her blog. 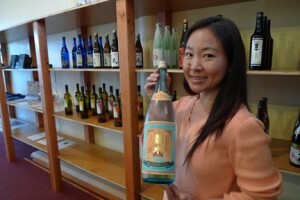 Erika Engle of the Star Bulletin was nice enough to feature the shop in her column right after we opened. Click here to see her article.